Used bicycle disposal just might find its way onto your to-do list. This is particularly true if you’re planning to buy a new set of wheels. And, because it’s happening so fast, you’ll need a plan to avoid being overwhelmed. 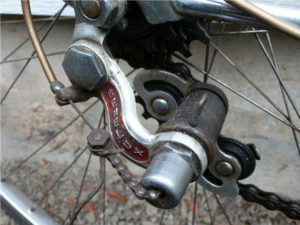 Trouble is, you’ve got to know if it’s worth the time and effort to salvage an old bicycle. Used bicycle disposal comes down to a few choices. But, that doesn’t mean you’re stuck with that old set of wheels. Basically, getting rid of those wheels is all about what you want — even if that sounds strange, at first. Repair it. If you believe that it’s just too expensive to go with the repair, you should get a professional opinion. (That is, if you really like the bike and would prefer to keep it.) Price new models and compare the costs. If you need used bicycle disposal, go ahead and phone 800-433-1094 or visit Junk Garbage Removal.